Please note that the content of this book primarily consists of articles available from Wikipedia or other free sources online. 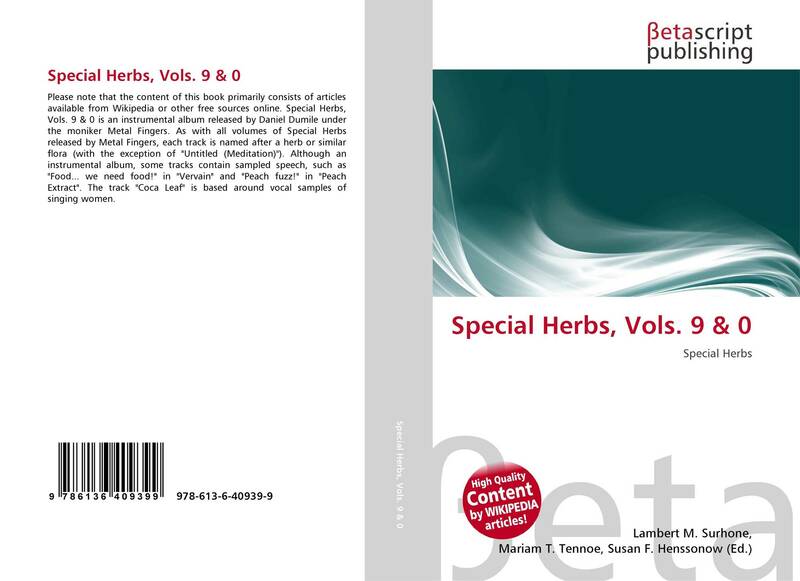 Special Herbs, Vols. 9 & 0 is an instrumental album released by Daniel Dumile under the moniker Metal Fingers. As with all volumes of Special Herbs released by Metal Fingers, each track is named after a herb or similar flora (with the exception of "Untitled (Meditation)"). Although an instrumental album, some tracks contain sampled speech, such as "Food... we need food!" in "Vervain" and "Peach fuzz!" in "Peach Extract". The track "Coca Leaf" is based around vocal samples of singing women.